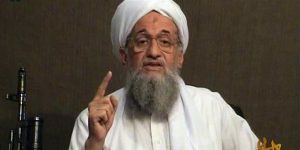 In a new video, Al Qaeda (AQ) leader Ayman al Zawahiri calls for AQ’s unified effort against the United States and it’s “blatant crusader” President Donald Trump. Zawahiri says the means to do this is jihad. In previous posts UTT published “How Does Sharia Define Jihad?” found here, and “What is Sharia?” found here. In other words, the leader of Al Qaeda is correct about the definition and requirements of jihad in Islam. For any of the children who still do not understand jihad, the book has a picture of a tank just above these explanations. Why would they teach this in U.S. Islamic schools to 7th graders? Why wouldn’t they. It is doctrinal Islam. Why would the leader of Al Qaeda urge Al Qaeda members to wage jihad to establish a caliphate (Islamic State) under sharia (Islamic law)? Why wouldn’t he. 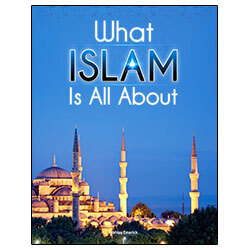 It is the purpose of Islam. As Americans begin the Easter Triduum, rational and reasonable people are encouraged to pray for the strength to simply speak truth about the real threat from jihadis to their community, and the wisdom to develop actions they can take in their locales to defend themselves against this growing threat. Understanding the Threat stands ready to assist. Any plan or strategy in any community must begin with speaking truth. The reason U.S. public school “infidels” (non-Muslims) are being consciously lulled into a false sense of security year after year by the contextual propagandistic content of their books on behalf of the Islamic jihadists who came here to either control them or kill them, is because the multi-billion dollar annual bottom lines of the five so-called “power house” American publishers who create and distribute said bodies of insidious contradictions and lies would otherwise suffer. For whether it be: the “shadow” government’s perverted relentless attempt to destroy the current U.S. presidency with their incessant beating of misdirected war* drums and despicable lies to make the country believe (for yet another forty cold-war years) that its the Russians instead of Islam that we should be worrying about; school books which endanger and/or destroy the minds of our children et al; the routes, distribution and profits threaded to global control of oil & natural gas; perpetual war to ensure military industrial complex dominance of the global armaments market being huckstered by the WW-2 relic known as “NATO”, in the final analysis, its all about lethal political cover-ups and money! *In 2004, Special Agents of the FBI, acting in compliance with a federal search warrant, seized Islam’s declaration of war on the United States from a subterranean basement in Annandale, Virginia; for a nominal handling & postage fee, anyone wishing to peruse & own an Arabic-to-English verbatim translation of said document may do so by contacting: http://www.securefreedom.org to request: GOVERNMENT EXHBIT 003-0085 3:04-CR-240-G U.S. v. HLF, et al.